Home / Free Domain / How to get a Free .com or .in Domain Website registered? Domain names are unique identification strings containing alphabets and numbers that help businesses and individuals establish their identity in the online world. People will always need a unique domain to reach your company website on the internet as it is not possible for everyone to type out or remember the unique IP address of each website, hence domains are used as they are easy to remember for humans and are brand-able. .com – was meant for commercial businesses and companies. .net – was used for networks and was preferred by Internet Service Providers (ISP’s). .org – was used by non profit organizations such as NGO’s. Now in 2015 , there are thousands of suffixes and a new one is released almost every week. The suffixes are no longer restricted to a particular sector, country or industry. It is however advisable to always set up your website on a .com because .com’s are an established brand and are among the oldest suffixes on the Internet. They also have a high recall value and are the most valuable among all domain suffixes. As per the latest report released by Verisign there are more than 300 million registered domains as of 2015 and .com’s account for about 130 million registrations (45% of all registered domains) followed by .tk . What is a free domain name ? By definition , a free domain name is one where you are not required to pay an annual renewal fee. Most domains names are sold by a domain registrar, which is an organization or company that manages the registration of Internet domain names. A domain name registrar has to be registered with the Internet Corporation for Assigned Names and Numbers (ICANN). Most .com domain names cost US$ 1 to US$ 15 (Rs 65 to Rs 1000) annually, the price varies because domain registrars give discounts to new customers and absorb some of the actual costs involved in purchasing these new domain names. Once you purchase a domain name it is valid for one year after which you will have to renew it, failing which the domain expires and can then be purchased by other users. 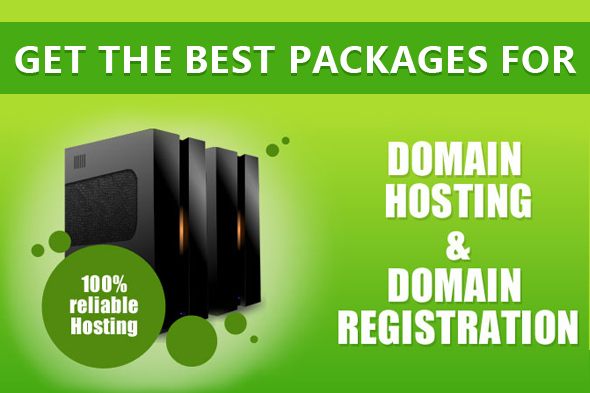 Individuals and companies can register a free .in domain name along with free web hosting from zoho.in. Zoho.com is an India based company with it’s head office in Chennai, Tamil Nadu that provides business apps to thousands of clients and company across the globe. In a bid to encourage Indian Businesses to get online, Zoho is providing a free .in domain with lifetime hosting along with custom domain email accounts on there website. The free domain name comes with limited functionality as you cannot use it with other services and it is restricted to work only with Zoho apps. They however provide a free website builder that can be used to setup a functional company or individual website. Enter the domain name of the company or website that you want to establish. Remember to keep it short and easy to remember. Avoid symbols and read through this guide : How to Choose a Domain Name ! Once you sign up you will receive message within 2 days with a unique token number and a confirmation link at the email address you provided while signing up. You can then click on the confirmation link and enter your unique token number to claim your free lifetime .in domain name. Note : PAN or TIN number is compulsory to avail this offer and it has to be genuine or your application will be rejected. This has been made mandatory to avoid fraud websites and multiple registrations by the same individuals. 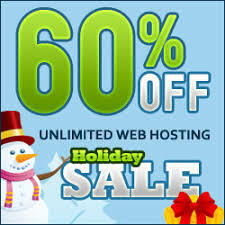 If you are tech savvy and have blogged before, all you need to do is write a blog post about a web hosting company and submit it to receive a coupon that will give you a 100% free .com domain name. The coupon which has a value of US$ 11 (Rs 700) will allow you to redeem it online for a free .com domain registration. Follow the steps below to get your free .com registration. Read the instructions and conditions you need to fulfill to get a free .com domain. Search for a host which you will like to review by scrolling down the page and finding it towards the end. Write a high quality review of the web host by reading other reviews and add your own experiences. Submit your review on the website. After you submit the review, you are required to wait for at least a month before you receive the vouchers from Domain.com. Vouchers are sent at the start of the month after your review is published. So if you review is published in early August 2015, you will receive your gift card in the month of September 2015. Want a free domain name instantly ? If you want a free domain and cannot wait until Zoho authenticates your .in application or you receive a coupon for your .com domain name, head over http://www.dot.tk to get it free instantly. I am a student and I am working on a blog but I don't have a domain name can you tell how can I get a domain name and how can I apply of that domain name on blog. solve my problem.